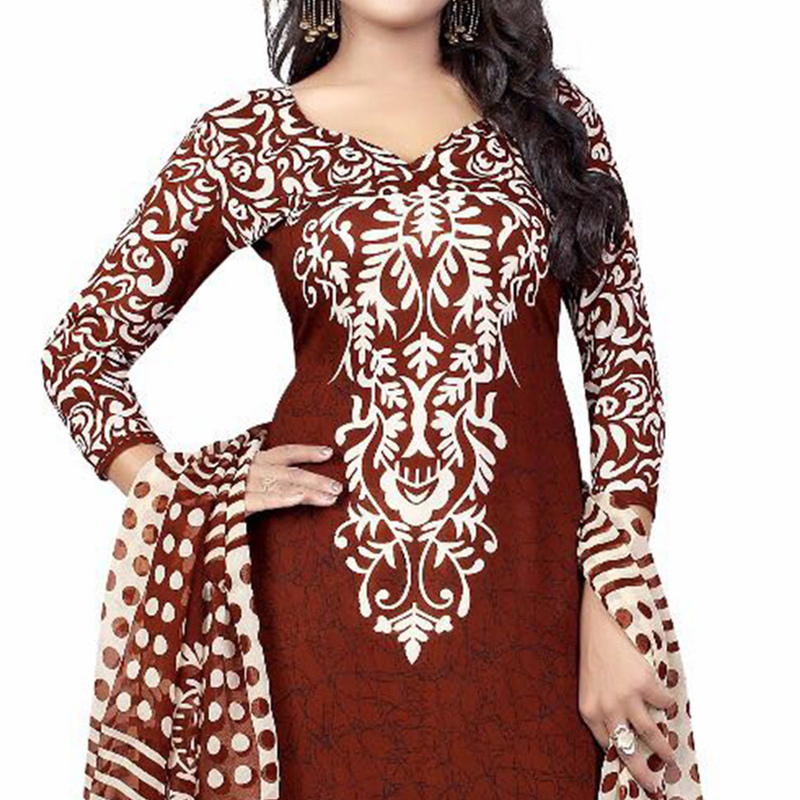 Enrich your casual collection choosing this brown dress material. 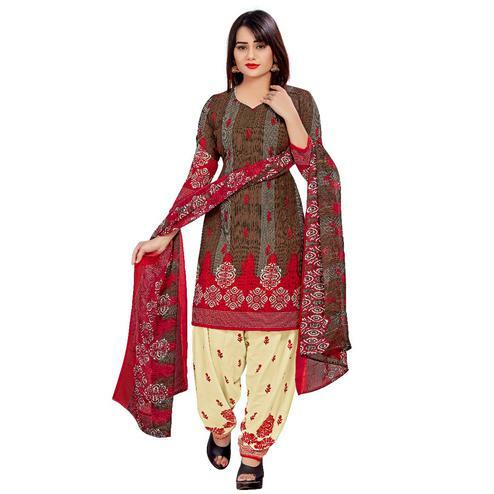 This unstitched suit is made out of crepe fabric and enriched with attractive pattern print work done all over the top, bottom and dupatta as shown. 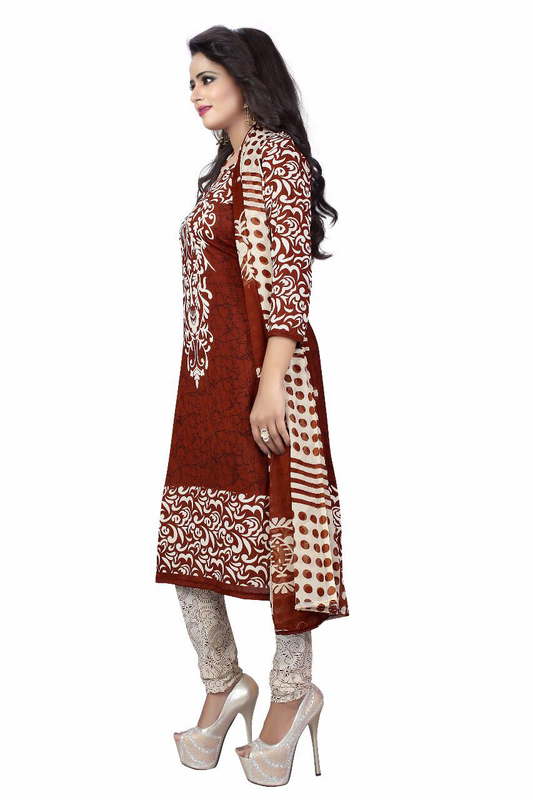 Women can wear this suit for casual and regular purpose once it has been stitched according to their fit and comfort.